Fed Up with Over Paying? Are you paying a good amount for your janitorial services but are failing to see what that money gets you? You care about your business, so you know that good cleaning and janitorial services do not come cheap. But, when the work is consistently inconsistent in its quality, you may start to wonder if you’re paying too much for too little. Have you ever walked into the building and noticed dusty desks, dirty restrooms, and dingy windows? Then, it may be time to search for a better cleaning service. It is certainly clear when a cleaning company doesn’t take pride in its work. 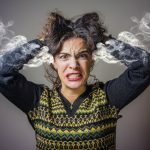 Calling your cleaning and janitorial service to micromanage all the things it’s forgotten to do should never be on your to-do list. You should be able to hire a cleaning and janitorial services company that’s excellent at what it does and only makes your life easier. That is the reason you are outsourcing your cleaning and building maintenance, right? So, why should you be calling and reminding people how to do their jobs? You don’t want to get in trouble for hiring the wrong company and be scolded for wasting the company’s money. Typical janitorial companies give you a fuzzy picture of what exactly you’re getting, without transparent pricing. The most important part when hiring a cleaning and janitorial company is to get a clear picture of what its services include. A contract that is clear will save both your company and the cleaning service from getting crossed wires and ensure everyone is accountable. When a cleaning company has a varying cleaning bill, it can cause issues with budgeting for your company. And, that, in turn, can cause issues in future forecasts and planning for the rest of your facility’s maintenance. No two businesses are the same, and we know that at iNX. We make sure that each contract is specifically tailored to the exact needs and specifications of each company we serve. Depending on your industry, facility size, and other factors, your building’s unique needs will be identified and met. We will give you the attention to detail you deserve, just as any real cleaning and janitorial service should. Our professional consultants will assess the specific needs of your company, whether that means a yearly pressure washing or a biweekly window cleaning. Plus, we can make sure to include whatever you want in the contract so you can expect something rather than look for it. We don’t underbid your facility just to win your business. Underbidding can cause unhappy janitorial staff who are saddled with far too much work with not enough pay. And, this can cause their work ethic to slack. We give you accurate pricing on what exactly your company needs. Most cleaning and janitorial services rarely return your calls no matter how many messages you leave. At iNX, we offer a detailed and responsive 10-step complaint process that “closes the loop” on anything that needs to be changed or corrected. We have a Quality Assurance process that allows us to systematically monitor and evaluate various aspects of our services. And, our dedicated Customer Hub is there for you whenever you have questions about billing or service agreements. We are a cleaning and janitorial service that cares about the facilities we service, and we offer a great deal more than empty promises. You won’t have to worry about calling and complaining to your janitorial services company– we will consistently meet your expectations with our attention to detail and excellent work ethic that ensures a happy and cleaned facility. You won’t receive complaints from employees or customers about dirty bathrooms, dusty shelves or desks, or fingerprint-decorated windows and glass surfaces. You’ll be able to walk in and breathe easy that what you expected to be done was, indeed, done. 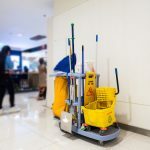 You’ll save valuable time by not having to micromanage the cleaning services provider because it didn’t complete the job that it agreed to do. With consistent cleaning and high-quality maintenance services from iNX, you will stop being hassled by your higher-ups. You will be praised for being on top of your tasks with minimal effort on your part. You won’t have a wildly varying bill every month or have to wonder exactly what you’re paying for. Our upfront pricing and contract system help both you and your cleaning provider to guarantee they are accountable. You and our highly insightful consultants have already decided on a “checklist” to make sure you get exactly what you want and a price that you can see. You’ll be able to see exactly what you will pay and anticipate paying for seasonal cleaning services, such as yearly pressure washings, so your budget and future forecast can be as accurate as possible. Ultimately, you will have peace of mind knowing exactly what you’re paying for. And, you know what you are paying for will get done and that there are no hidden fees or costs that come out of nowhere. It’s great being on the same page. That’s what a successful partnership is. P.S. : If you’re ready to partner up with a janitorial services company that will keep your best interests in mind, call Team iNX. Schedule your free consultation today!